Most of you know that I hail from Chicago. Although I don't have much of an accent (my parents are from New York), my loyalties reside with Chicago teams. That, of course, means Bears, Bulls, Cubs, and Blackhawks. I have (tried) to instill this in my children, as well as a healthy respect for the NY home team when they aren't playing Chicago teams. There are tremendous differences (stereotypes) between New York and Chicago, particularly in the food department. When my now wife first visited me in Chicago, she was blown away (disgusted) by the amount of food (portion sizes) served. The best depiction of this is Bill Swerski's Superfans sketch on SNL. It was a bunch of overweight Chicago fans sitting around discussing how great the Bears (and other Chicago teams) were while drinking too much beer, eating too much sausage, occasionally going into cardiac arrest, and often saying "Da Bears." In this week's Loupe, we explore the wonderful world of beer, so you can sit home and drink great beer on your couch rather than freeze at the stadium and drink mass produced swill! I would like to give special thanks to frequent contributors Steven H. and Gabe L. for their insights on this one! The craft (beer) revolution is here, possibly in its late stages. According to the Brewers Association, the definition of a craft brewer is small production (less than 6 million barrels), independently owned (less than 25% owned by a non-craft brewer), and produce traditional beer (ingredients & fermentation process). There are over 5,000 craft brewers making over 20,000 different brands of beer. This is a rabbit hole that is both deep and wide. Therefore, we all need a (craft beer) sommelier/sherpa that guides us to tasty beers from talented craft brewers. That sherpa is Tavour. Each day they send an email with a description of the brewer, the blend, and what makes it unique. If the story sounds interesting, you simply respond to the email with how many you want (often limited to a six pack because of small batch supply) and Tavour will send the beer via UPS. Easy! 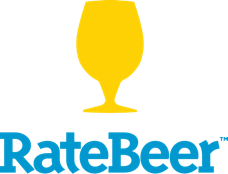 When you want to find the very best beers, Ratebeer is the perfect place to start your search. You can search for beer by region, style, or even the brewery. Did you know that the oldest active brewery in New York State is C.H. Evans Brewing Company at the Albany Pump Station which dates back to 1786... revolutionary indeed! It looks like Goose Island (owned by decidedly non-crafty AB InBev) is making some of the best beers to come out of Illinois ... already on my shopping list. The number 1 rated beer right now is the Imperial Stout from Toppling Goliath Kentucky Brunch (also on my list)! This beer, if you can find it, retails for up to $1500 a bottle, and for their release party, there were over 80,000 people vying for 500 spots. The stout's unique makeup of coffee and maple syrup has 12 percent alcohol. Is this your thing? With over 20,000 rated beers if you know what style of beer you like (wheat ale for me), you can find the highest scoring ones (The Livery Bourbon Barrel Aged Wheat Trippelbock Weizen Bock). This is also a great place to cross reference the beers that Tavour sends out in their daily email blast. Bottoms up! Craft beer has been a trend for quite some time, although accelerating recently. Gone are the days where the big boys of brewing had a lock on what we drink. Sure, they still own upward of 80% of the market, but there is plenty of room in that 20% for discovery. Just like wine, I frequently revisit the beers that I know I like, rather than try new ones. Call it a habit, or the way our brain works, but sometimes it is important to force ourselves out of habit and discover new things. Beer Menus was introduced to me by beer-loving Louper Gabe L., and it is an app that will help your beer discovery process along. It shows you a list of stores, restaurants, and bars by which beers they have on tap. If they only have Bud Light and Blue Moon, you may want to find somewhere else to watch the game. It showed me the beer shop and tasting room CitySwiggers on the Upper East Side, which has 14 beers on tap (rotates weekly) and sells over 700 beers in the store. This incredible variety of beers to taste, combined with an incredible variety of beers for sale to bring home, will help you find your new favorite brewski. I've become partial to the Allagash St. Klippenstein 2015which they have on tap, and I brought home in my reusable Growler. This app may even help you find beer lovers, like yourself, wherever you are! As you can see from this post, clearly beer is the new wine. So much so, that restaurants offer beer/menu pairings, people are installing dedicated beer fridges in their homes, beers have magnums, beers are decanted, breweries have release parties .... the similarities go on and on. And, most importantly, if you are going to stay home and root for Da Bears you may as well have the right Da Beers in the cooler. Be in the know and consider Tavour, RateBeers, and Beer Menus Found! Activities, RestaurantsBryan Verona November 18, 2017 Go our and go nuts!